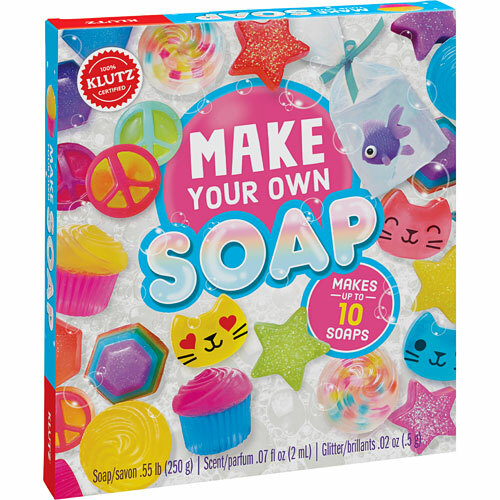 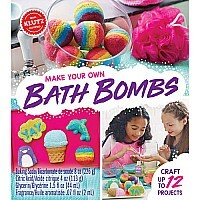 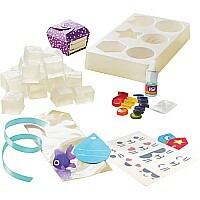 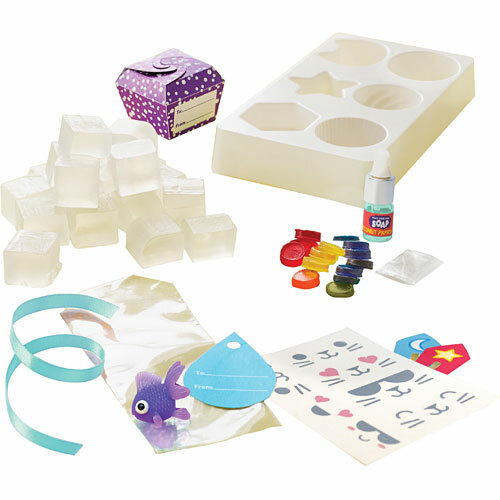 Klutz Make Your Own Soap: Klutz brings you a complete kit for melting and molding up to 10 soaps from scratch. 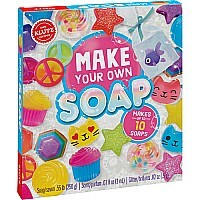 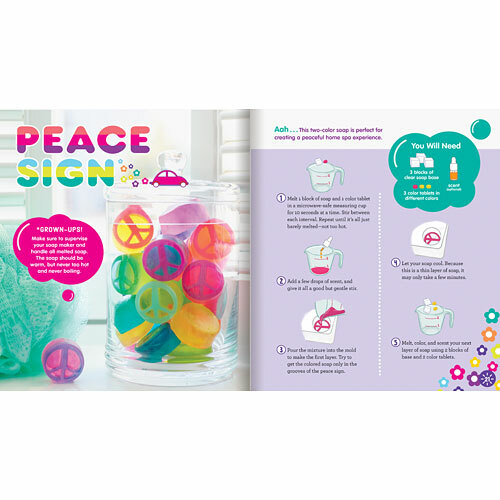 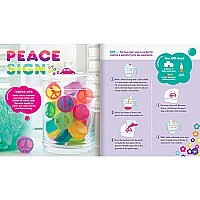 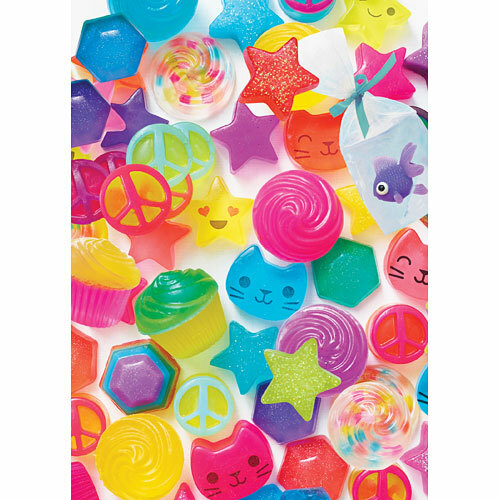 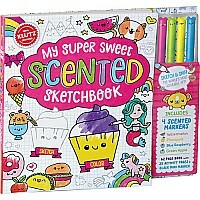 With the included soap molds, bright colors, coconut papaya fragrance, soap stickers, and skin-safe glitter, you'll be well on your way to being squeaky-clean in no time. 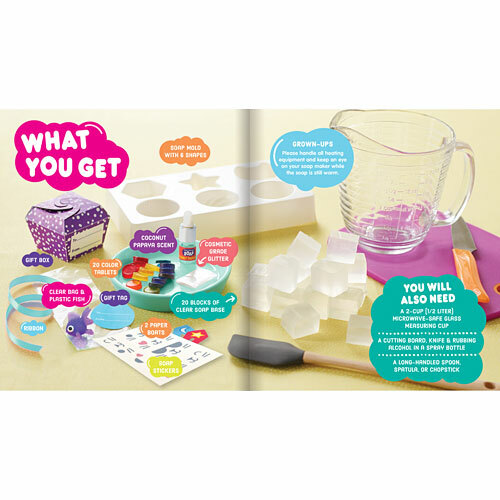 Plus, while you're waiting for your signature soap to harden, you'll enjoy the added soap-based science experiments you can do right in your own kitchen. 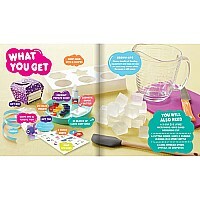 It's 100 Klutz certified, good, clean fun. 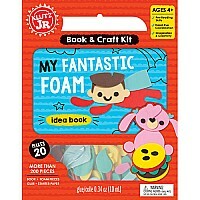 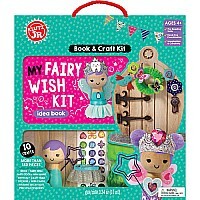 Measures approximately: 3.00 x 8.00 x 9.00 inches..